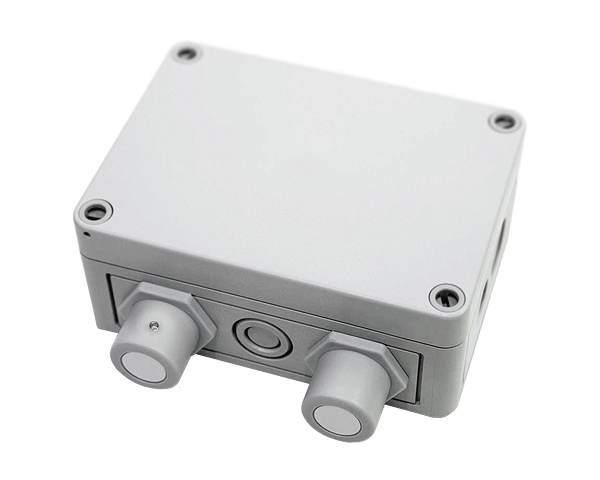 Digital RS-485 communicating, addressable toxic and combustible gas sensor for direct connection to the DGC6-Series Digital Gas Controller. Optional Modbus-RTU or BACnet-MSTP communications for connection to other controllers. DT6-Series sensors utilize advanced self-diagnostics and flexible ventilation control functions to ensure maximum human safety without compromising energy efficiency. Each DT6 may be configured with one or two integrated SC2 sensor modules with X-Change sensor technology. An additional DR6 remote sensor module may “piggyback” onto the DT6 providing the capability to monitor up to three gases at one location. Advanced, microprocessor-based X-Change sensor modules meet or exceed the EN 50545-1 self-diagnostic standards including notifying the controller when calibration is due. Although field calibration is possible, X-Change technology allows fast and cost-effective sensor module swaps minimizing field service time, eliminating system downtime and ensuring peak system performance for many years.